Eyeshadow palette in the Color Icon Eyeshadow Trio collection. Coordinating trio shades takes the guesswork out of creating the perfect eye look. The “how to” palettes are created to highlight, define, and accentuate specific eye colors to create unique looks. If you don’t know which colour you’re supposed to use on each section of your eye, the Wet n Wild Eyeshadow Trio takes the guesswork out for you. Each eyeshadow has a text imprint telling you exactly where to place the colour, and just in case you don’t know what a crease, eyelid or browbone is, there is a labelled drawing of an eye at the back of the palette. I’m not trying to be sarcastic, but I really did find it quite amusing! Cait, from Swatch Storm, organised a contest on the MMF and Silent Treatment was the prize. 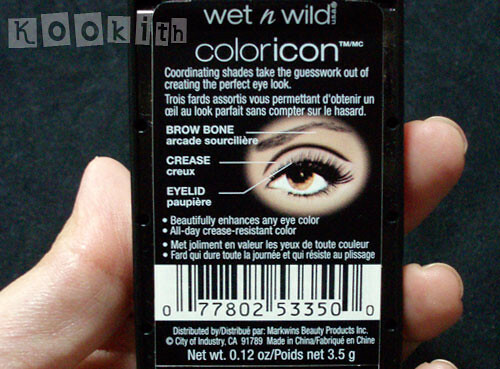 This was the first time I’d ever heard of Wet n Wild, as this is a US drugstore brand and it’s not available in Singapore. After doing some research, I discovered that this product has a huge fan base, and many beauty bloggers who are used to high-end stuff have raved about Silent Treatment. 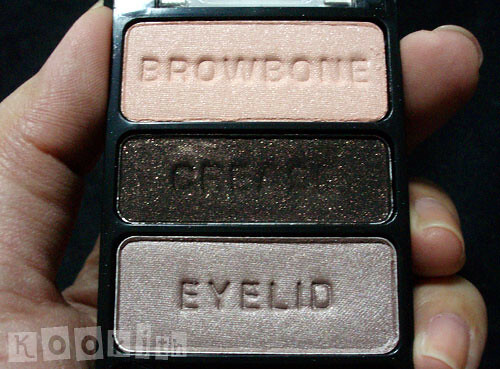 The browbone colour is a pale and shimmery light pinky-peach shade which is absolutely glorious. In fact, I’d even go as far to describe it as the perfect highlight. 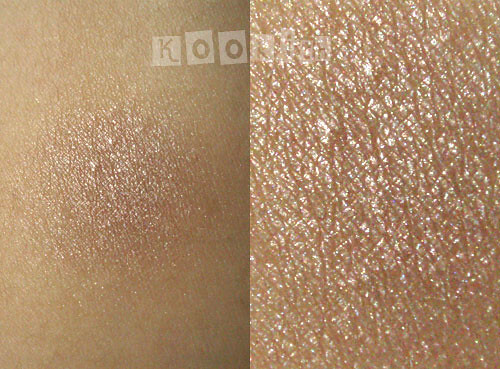 It blends wonderfully into my skin to give it that slight glow, and is extremely flattering. 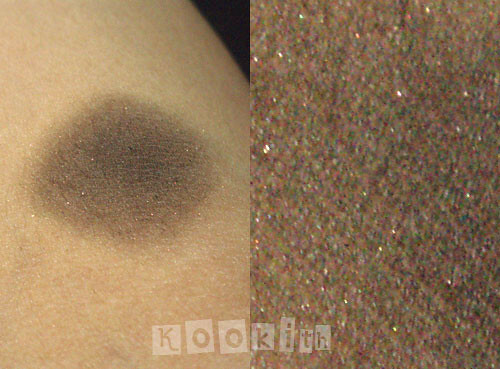 The crease colour is cool-toned dark brown with tiny bits of gold glitter. The glitter is utterly pointless actually, because it didn’t show up on my skin. That being said, I experienced no fallout from the glitter flecks either, so no undereye cleanup was necessary. While the texture is great, dark brown is dark brown so it really wasn’t anything special, and I wasn’t impressed by the hide-and-seek glitter. I should point out though, that I did not particularly appreciate the eye diagram that came with the palette, because it implied that it’s the ‘normal’ eye. I have monolids, meaning I don’t have a crease at all. Yup, and on top of that, I have tiny, tiny eyes. In my part of the world, my eyes are extremely normal, yet girls like me have trouble using eye makeup because we are born single-lidded. Thank you, Dad (my mum is double-lidded and my dad is single-lidded). I can’t even blame recessive genes, because it was a 50-50 deal. Oops, didn’t mean to digress. Anyway, my point was that because I don’t have a crease, I had to improvise. Therefore, I used the crease shade as an eyeliner, and it was decent. It would probably have turned out better if I’d foiled it, but I didn’t want to contaminate the eyeshadow. The eyelid colour is a silvery, plummy-taupe colour and on my skin, looked purplish-brown for some reason. It had been hailed by some as the best taupe of all time, and I did find it quite pretty. However, the colour was unflattering on my skin tone and it made my eyes look bruised, like I’d just been punched in the face. Also, the colour payoff was pretty bad. I had to really pack on the shadow to get it to show even the slightest hint of colour. 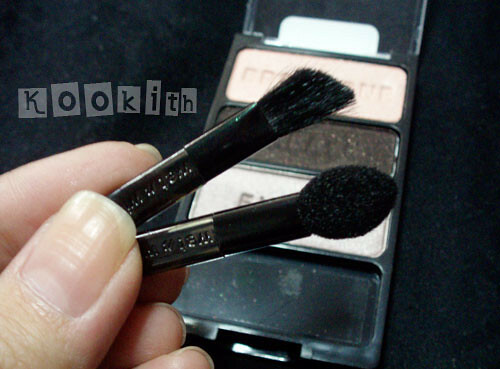 The Eyeshadow Trio palette comes with a squee-worthy sponge-tip applicator and an angled eyeshadow brush. These mini things are the cutest little brushes I’d ever seen! They’re useless, obviously, and it’ll be a pain trying to blend with them. 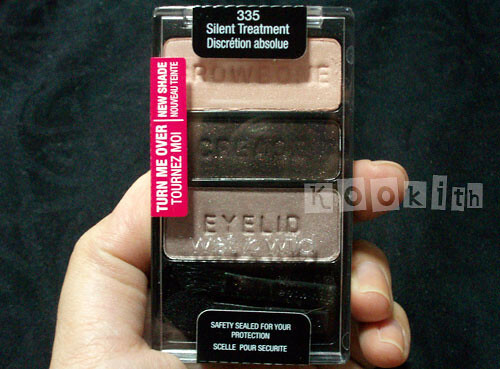 For the price, the Silent Treatment Eyeshadow Trio shades are surprisingly complex. The colours are interchangeable and versatile, and can easily be layered to create several different looks ranging from subtle to dramatic. 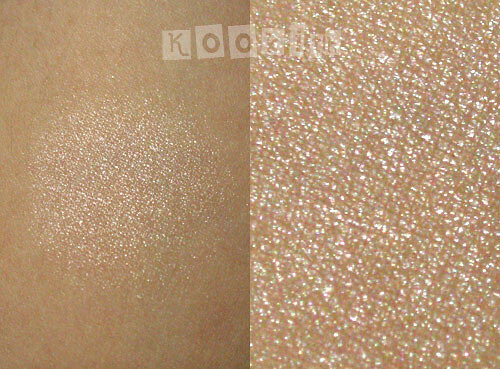 The texture of the eyeshadows are also smooth and easy to blend. My makeup lasted for many hours… what more can one ask from a USD $2.99 product? Disclosure: I won this product in a giveaway.